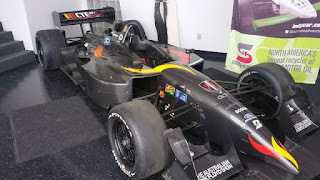 Nixon Motor Sports: Indy Cars, Team Equipment Auction! Hey, who doesn't dream of finding that bargain of a lifetime at the local garage sale, surplus auction, or Craigslist ad? OK, it's a rhetorical question, because if you're one of those types of folks, then I've got a website you will want to check today! And if you're a bargain hunter AND interested in race cars, then this is right up your alley! You can bid in person or on line, and all the info is at the link above. and all the other bits that are needed to stock a professional race team. With Christmas coming, I think you'll find all your shopping and gift giving needs can be met with this one auction!